Awning windows prices can vary dramatically from $275 to $850 per window opening, this is the fully installed price. All awnings are designed to open from below, so they are typically hinged at the top, thus enabling them to open out with ease. This means they are often taller and rectangular in shape. The advantage of awning windows is once they are open, they look like awnings, which protect against rain and offers superior ventilation. Find additional cost estimates and pricing on your project. Entry level awnings can sometimes use a cheap hinge, making them open awkwardly after several years. You will find that a majority of these windows are made from standard or clear glass with a composite or vinyl frame. Like all cheaper replacement models, expect very few bells and whistles - similar to most builder grade windows. Standard awning windows prices are often quoted on low-e glass that comes with an argon fill, the frames are usually aluminum, vinyl or fiberglass. Being made from mid-range materials the hinges should be smooth during operation. 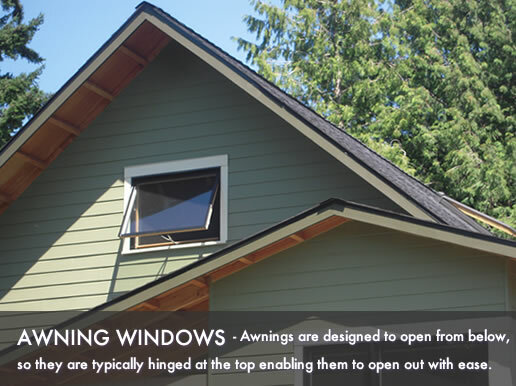 When considering the higher end awning windows, you'll find that they usually come with an aluminum or fiberglass exterior which does not require painting, while the interior is typically wood clad. Only the highest quality metals are used for the handles, hinges and cranks will also be a quality metal and the glass should be a high end low-e with good quality gas fills and spacers. You can often choose between a triple or double pane of glass, depending on your own preference. Installation prices vary and can cost anything from $50 to $250 for each window. Insert or pocket prices vary from $50 to $125 per window, you can pay anything from $100 to $175 for a standard installation, while the full frame price with installation is between $175 and $250 for each window. Entry level windows prices start at $250 and top out at $400 for each installed window. Mid range windows prices start at $400 and top out at $600 for each installed window. Higher end windows prices start at $600 and top out at $850 for each installed window.